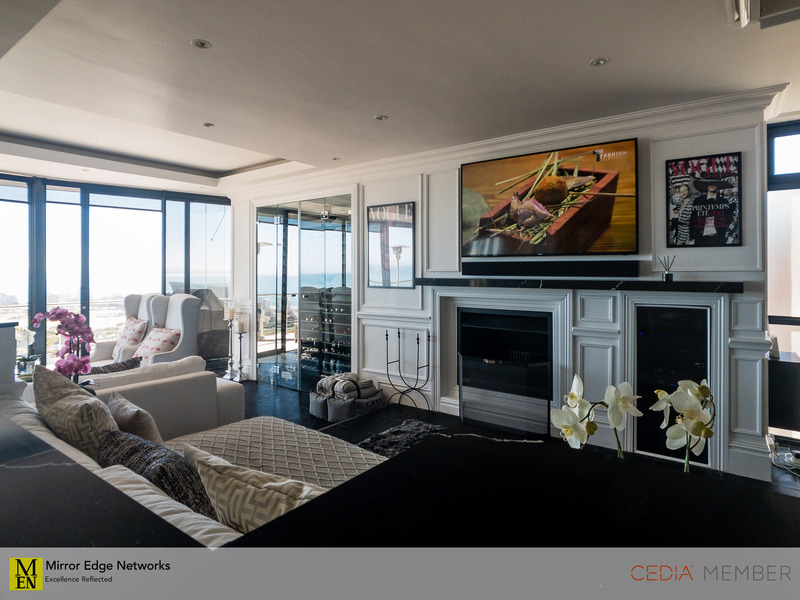 This stunning Green Point apartment features a signature Mirror Edge Networks multi-room high definition television installation. 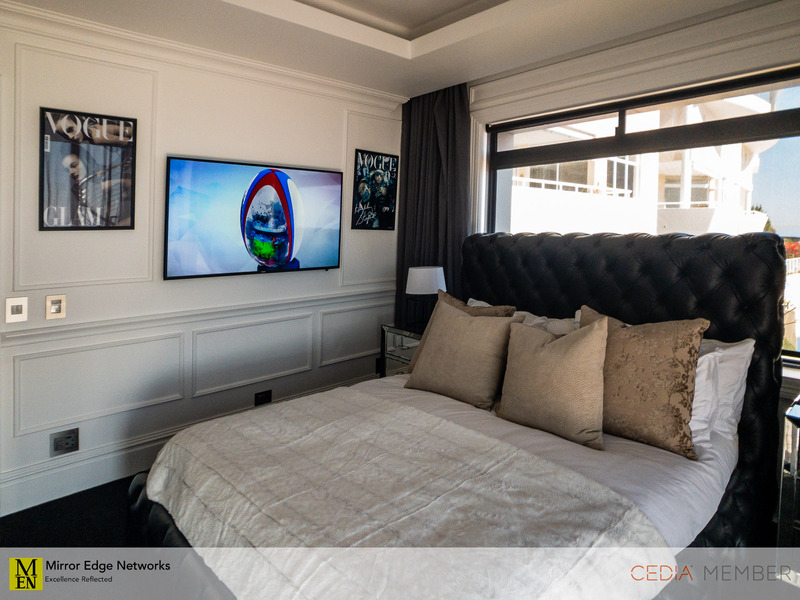 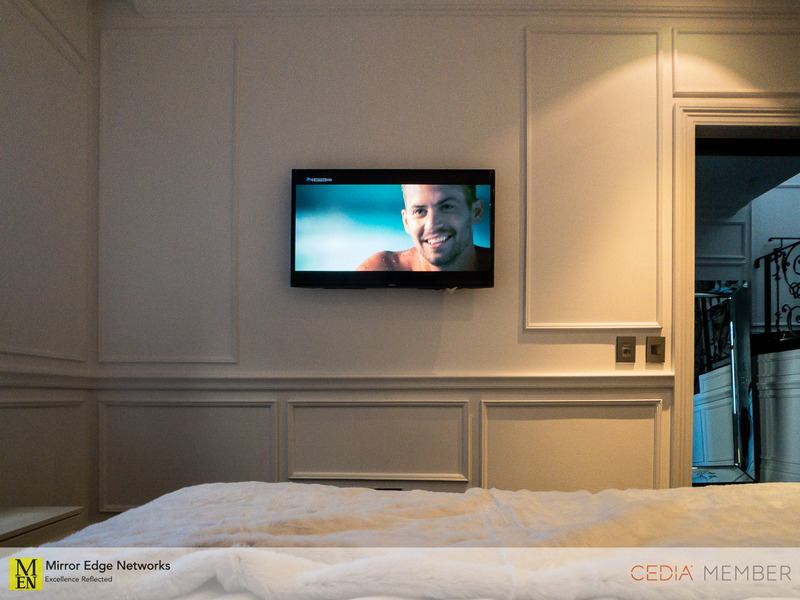 The specifications given to us from our client was to have a television installed into each of the bedrooms, a simple and easy to use remote control system and a high speed wifi network. 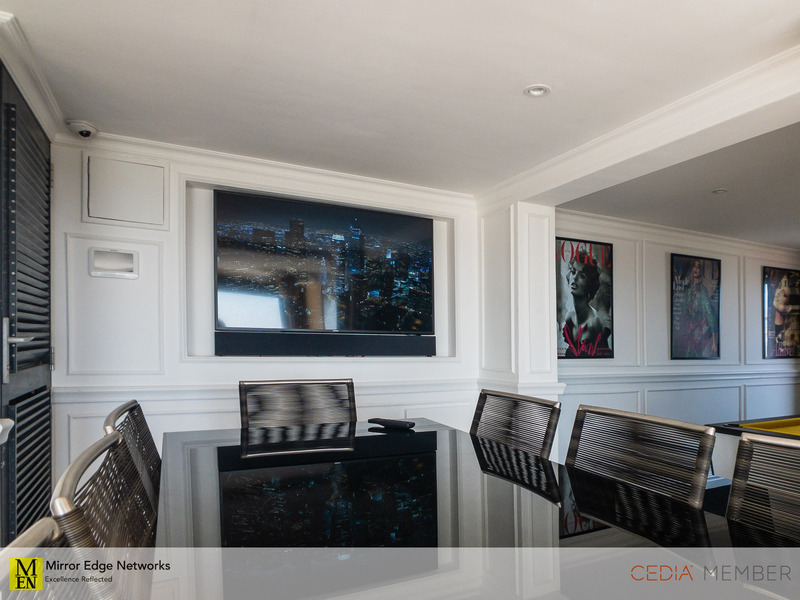 The system is designed around a Crestron control system and PHD video matrix, with a Draytek network router and Araknis network equipment. 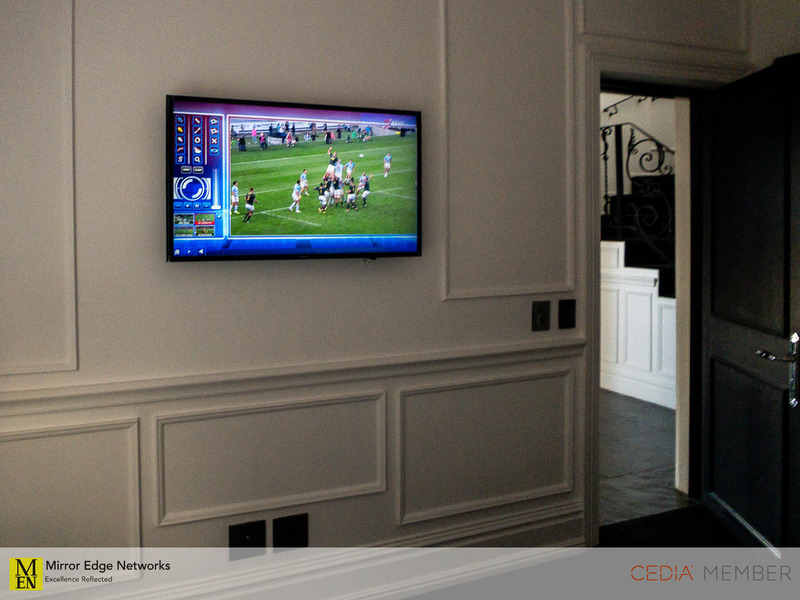 The house features Samsung televisions throughout and Crestron handheld remote controls in each viewing environment. 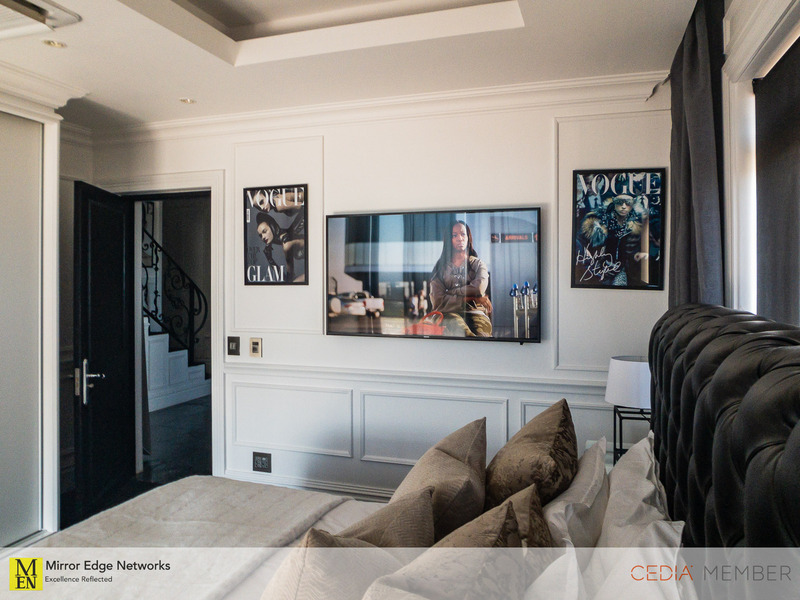 Apple TV’s were installed to allow streaming movies and music. 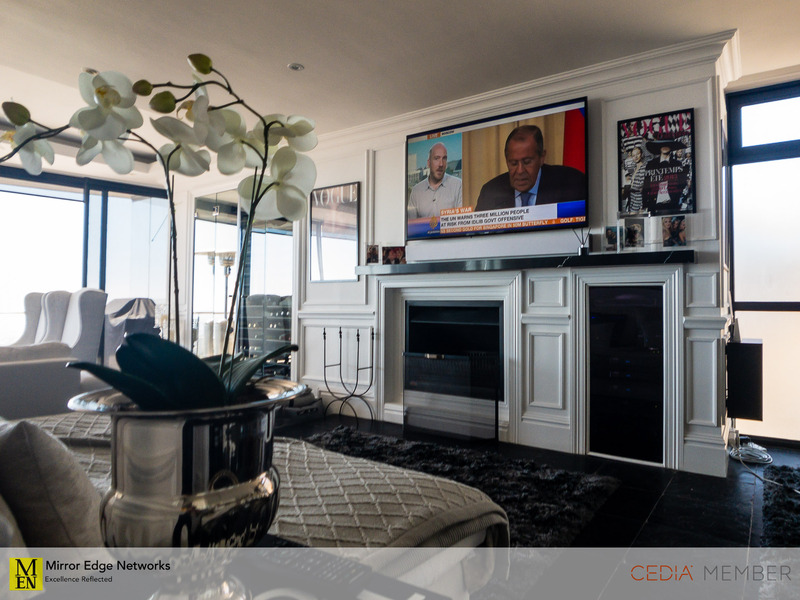 The CCTV camera system is distributed throughout the house via the high definition video matrix. 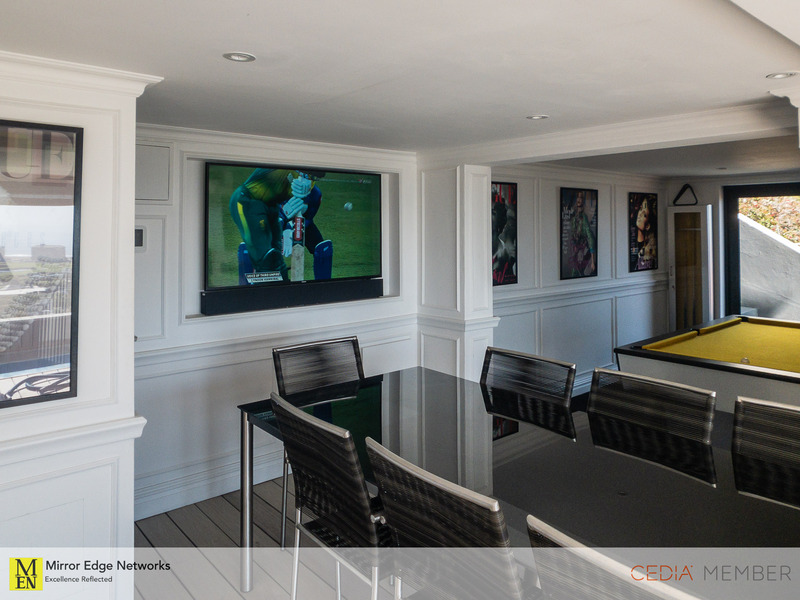 For additional audio in the main lounge and bar area, Artcoustic SL Multi soundbars with matching subwoofers were installed. 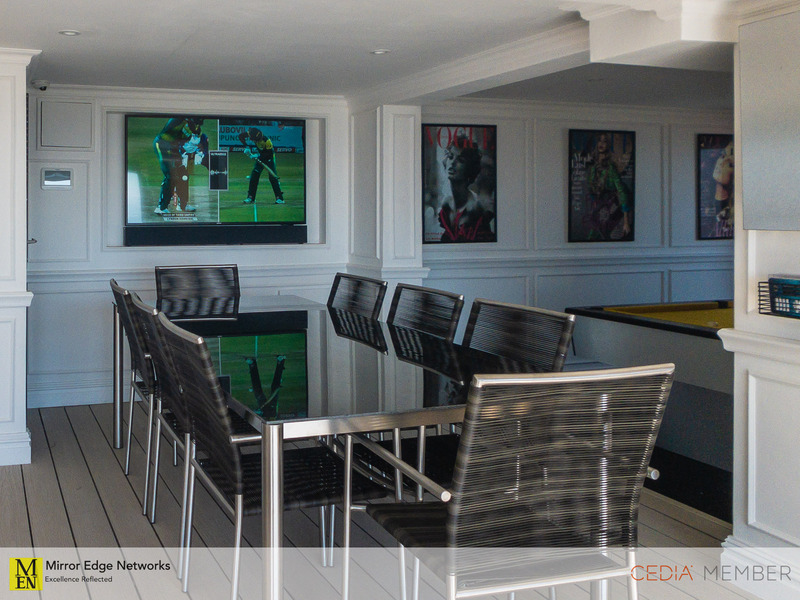 These are powered by Onkyo AVR’s and Artcoustic PA750 amplifiers. 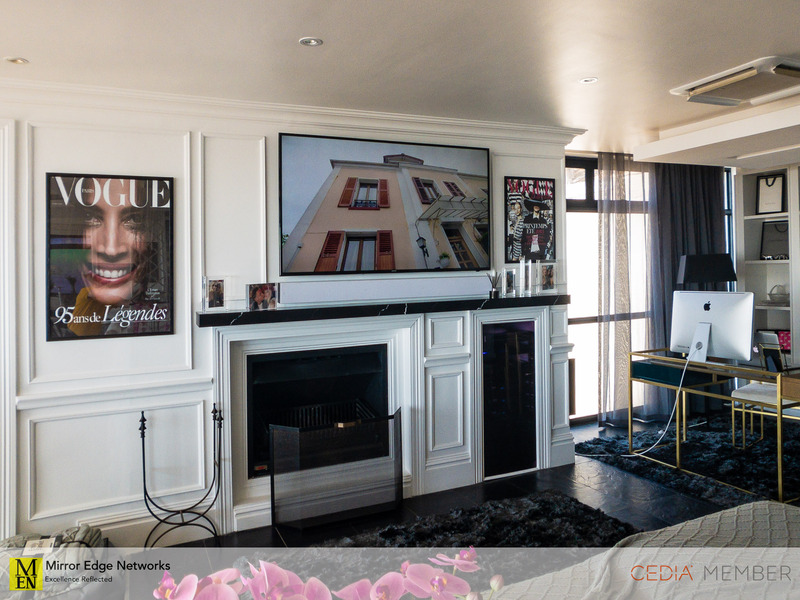 The Artcoustic soundbars are size matched to the television in their respective areas. 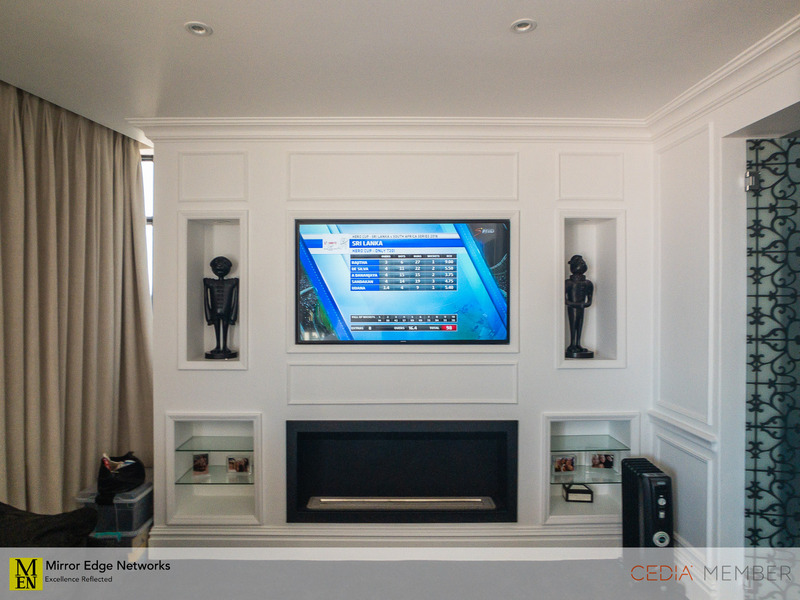 All televisions are mounted on Vogels wall brackets to ensure accurate installation and reliability. 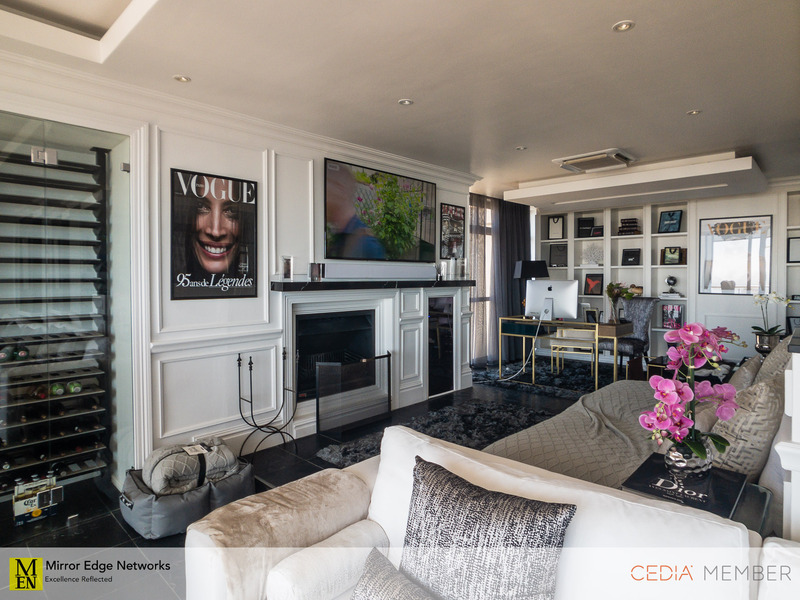 The apartment went through a stunning transformation which we were proud to be a part of. 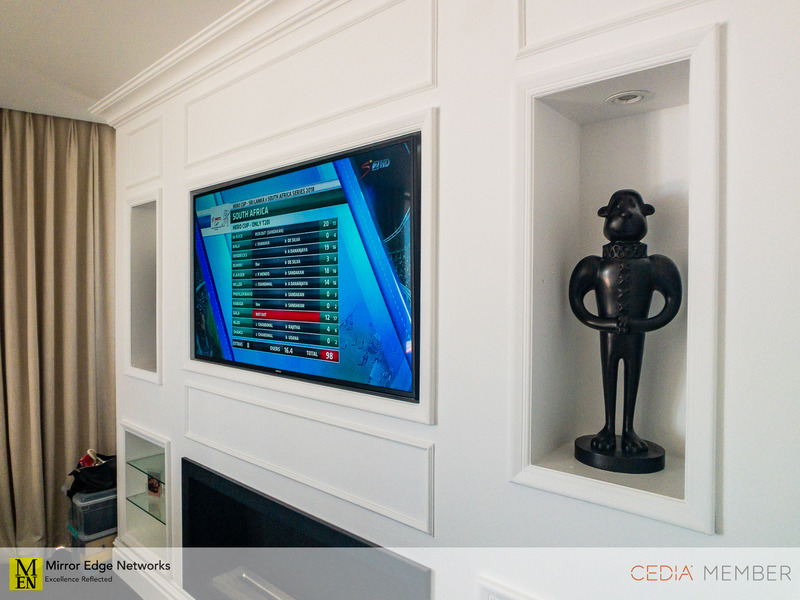 The completed installation is certainly one that we are happy to share.